Also over a decade ago, I lost my dear friend Carla to a drug-related accidental death that one might call an “overdose”, except that no single drug found in her system would, alone, have precipitated her falling asleep and not waking up. I’ve since come to call this type of death a death by “medi-mix”, a mixing and matching of drugs and alcohol to tackle unwanted symptoms, thoughts and feelings like pain, sadness, sleeplessness, tension or anxiety. I’ve also found myself using her first name as a verb, as in “I don’t want to get a call and learn he Carla’d out!” or, sadly, more recently, “she Carla’d out”. Maybe dark humor helps me deal with the feelings of grief and helplessness. Details of how Carla died came to light because she died in a county where autopsy reports are a matter of public record. Ordering one cost less than $30. That was the price of learning details on how this healthy woman of 42 “died in her sleep”. That the risky mixing and matching of sleep aids, anxiolytics, opioids, stimulants, and alcohol even has a name in my lexicon (“medi-mix”) is disturbing. It’s not that it happens often, it’s that it follows a recognizable pattern. Since Carla’s death, several friends and acquaintances have exhibited concerning patterns with various depressants, usually during times of great stress, but not always. Most have survived without dying, so far. 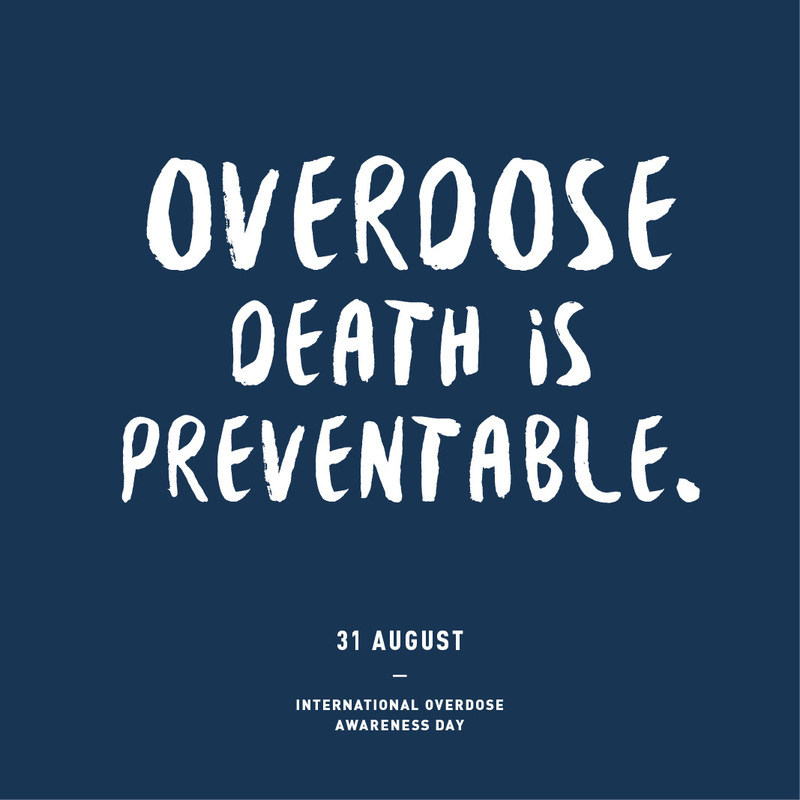 The Overdose Awareness Day site promotes wearing a silver ribbon pin; I’ve worn one this month to remember Carla and anyone else in my acquaintance, any public figure, and any other person who has died or suffered from a non-lethal overdose, whether it’s a result of taking too much of a single drug or a drug combination accident. Please talk with family and friends about this topic, even if it feels awkward. It might make make a difference in someone’s life! *IOAD is now managed by Penington Institute, a nonprofit group that “advances health and community safety by connecting substance use research to practical action”. 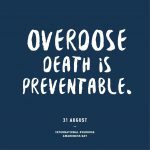 Actions dedicated to overdose awareness on August 31 are organized outside Australia, too.